In the words of Linus: "Tonight (Halloween) the Great Pumpkin will rise out of the pumpkin patch. He flies through the air and brings toys to all the children of the world." 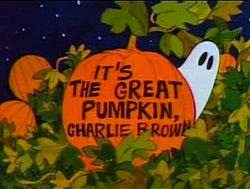 As we all know, the Great Pumpkin does not show, and Charlie Brown gets a bag full of rocks. (You gotta love the classics!) All I know is that the pumpkin patch at Schnepf's Farm is a great place to photograph, minus the Great Pumpkin. Schnepfs Farm looks like the place to go, for serious pumpkin collectors! I wonder is they also sell rocks? I have not seen that cartoon played in a few years now. Seems the quality of cartoons in my time has been lost to computers animation.